Ss. 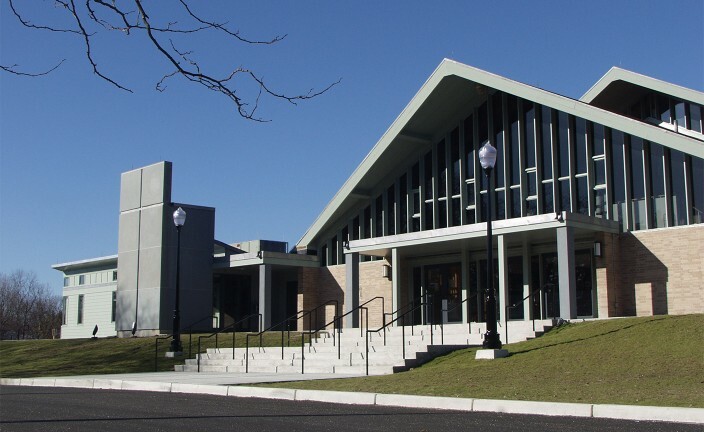 Rose & Clement Parish was in need of a new parish center. 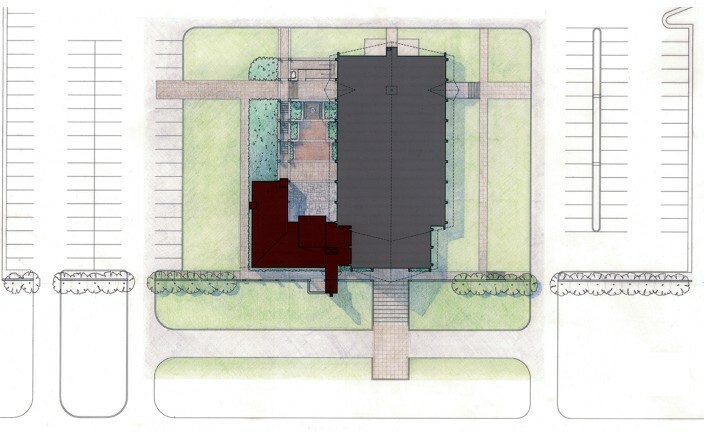 Although the project could have been considered a simple addition to a church, LLB Architects took a holistic approach, creating a master plan to fully understand how this addition would impact both the church and its surroundings. Included in the master plan analysis were site conditions, parking, landscaping, lighting, handicapped access, and new building and fire codes. 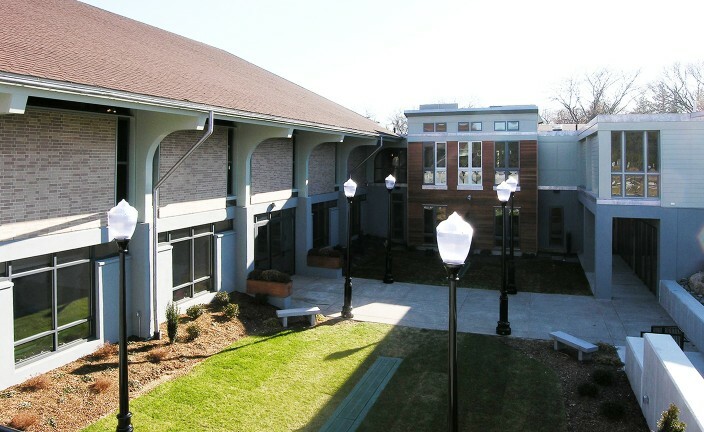 The major unifying design element, the new courtyard “sanctuary” with grade-level access to the former basement hall, creates light-filled classrooms and parish hall while providing communal access to the outdoor gathering space. 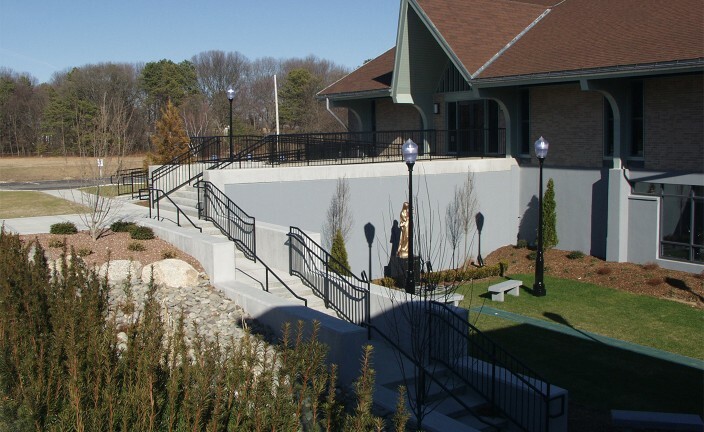 The fully integrated addition provides the church with 9 offices, a youth center, adoration room, gift shop, and meeting and conference rooms. The inclusion of an elevator, along with the reconfiguration of the walkways and entrances, ensured complete accessibility within a seamless design. 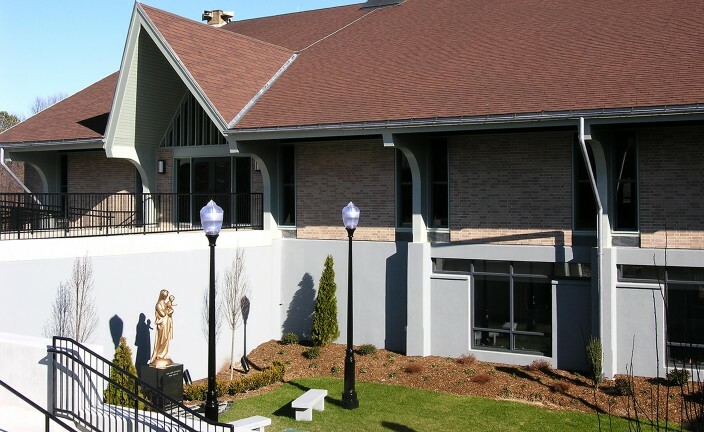 Above all, the new parish center reinforces the mission and community spirit of the church.